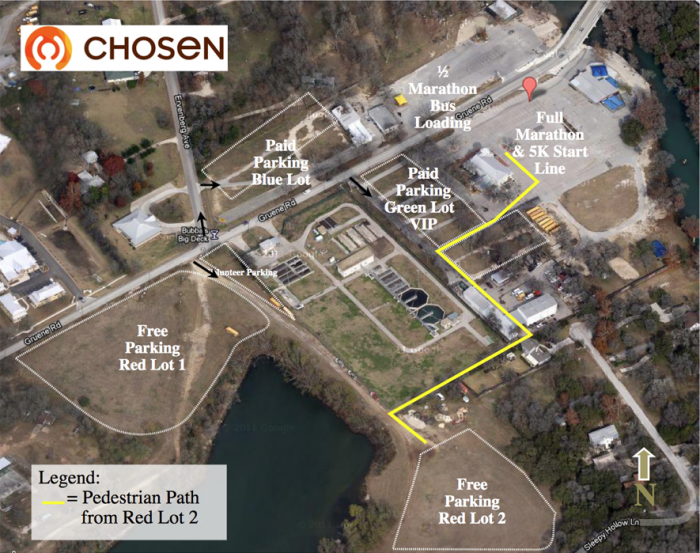 Chosen Marathon is the perfect destination race set in the heart of Central Texas between Austin and San Antonio. Be a part of something more by participating in the Half Marathon, Full Marathon or NEW 5K. Runners are given the opportunity to run alongside the beautiful Guadalupe River surrounded by lush green trees, rolling hills, and picturesque cliffside views. Chosen’s founding race offers a large metro race feel but with attention to big city amenities. Join us for Chosen's 6th annual race and run for someone elses' victory! Wanna help but not a runner? Sleep in and support adoptive families and orphans! Wanna run Chosen but can't make it to New Braunfels to race? Run 13.1 miles anywhere in the world between November 1, 2015 and December 1, 2015, send us your results and we will send your finisher medal, tech shirt and race bib. *$25 shipping & handling fee applies and will be added at check-out. Wanna run Chosen but can't make it to New Braunfels to race? Run 26.2 miles anywhere in the world between November 1, 2015 and December 1, 2015, send us your results and we will send your finisher medal, tech shirt and race bib. *$25 shipping & handling fee applies and will be added at check-out. 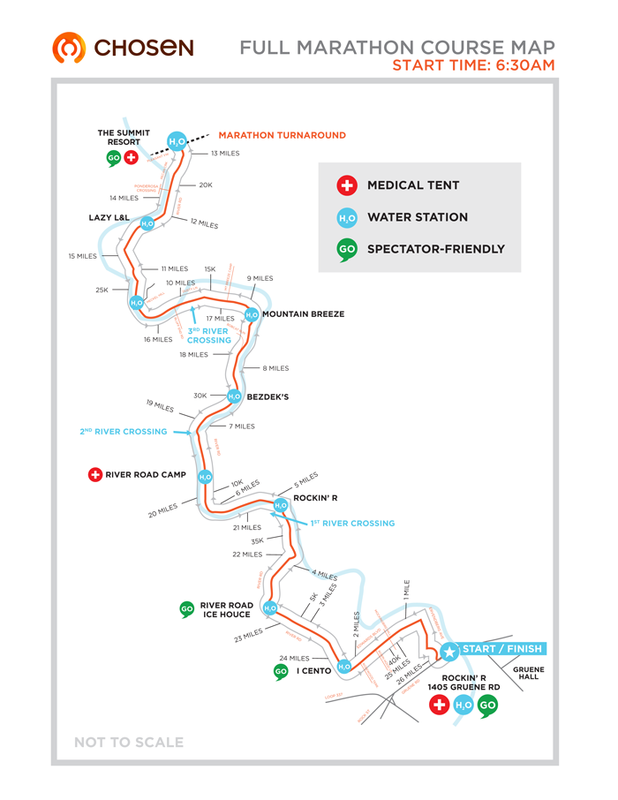 We will be bussing all half marathoners to the start at The Summit Resort. 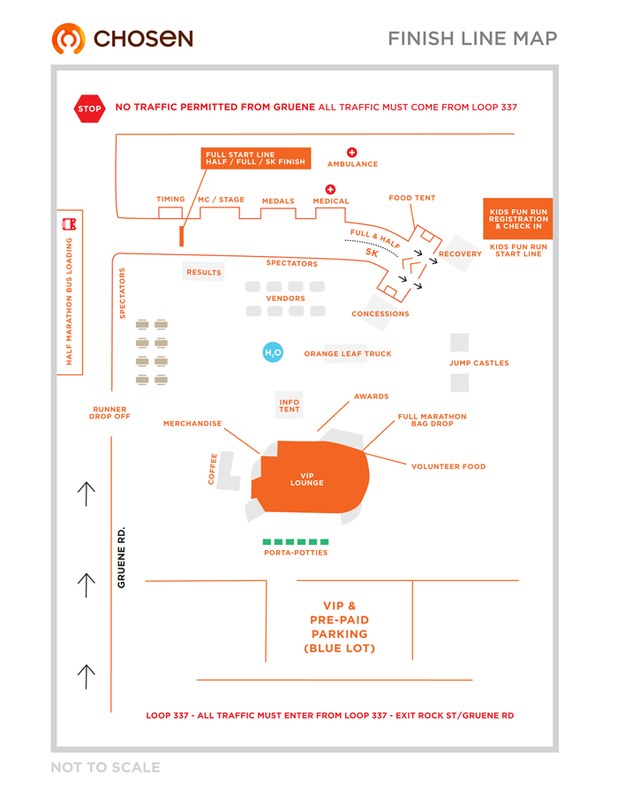 If you are registering now, you will be placed in Bus Group A which is loading at 4:15am. 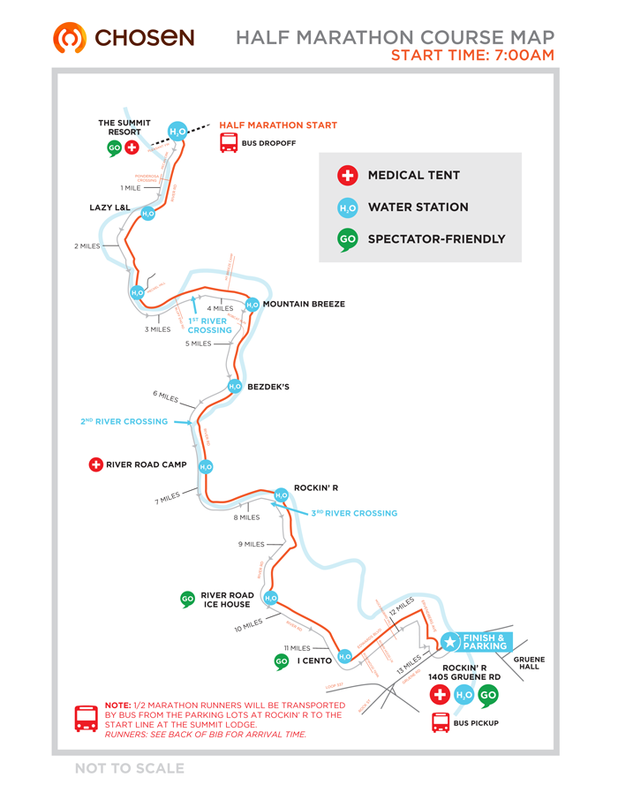 Please refer to our FAQ's at http://www.chosenmarathon.com/event/new-braunfels/ for answers to all of your bussing questions. All mailer options must be selected by October 31st. Virtual Runners Want to run ALL of the long distance Chosen Races but don’t have the time and/or money to travel to all of them? We have a solution for you! 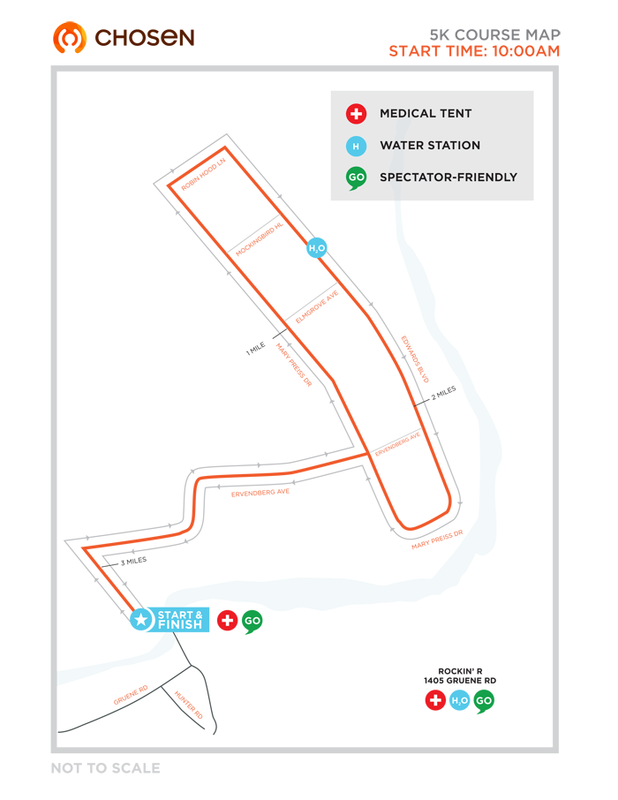 You can now run any of our races VIRTUALLY! Sign up for any of our Half or Full Marathon races as a virtual runner. Log your miles between November 1st - December 1st, 2015. The Satisfaction of helping bring a child home to their forever family! **5k races are not eligible for virtual runners at this time.